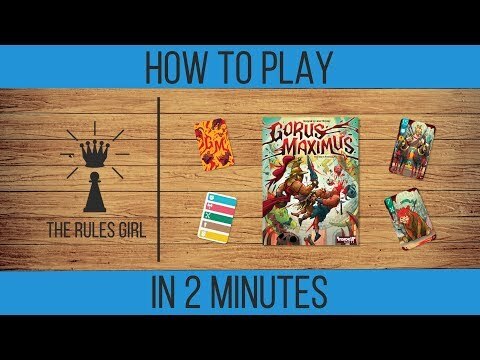 Gorus Maximus is a bloody trick-taking game of gladiatorial combat in which the trump suit can change mid-trick! The game can be played "player vs. player" or in teams. Dispatch your strongest gladiators and most ferocious beasts to earn crowd favor! Match the rank of the last gladiator played, and the trump suit changes immediately! Players are dealt a hand of ten gladiator cards and must contribute one gladiator to each bout (trick). There is a preferred school (trump suit) and the strongest gladiator from this school wins the bout. If no preferred gladiator entered the fight, then the strongest initiating gladiator (suit called for) wins. Players must follow the initiating school if possible, or they may "challenge" by matching the strength of the last gladiator played, immediately changing the preferred school to that of their gladiator! Players compete to collect gladiators with positive crowd favour and avoid those with negative favour. The player with the highest favour at the end of the round earns 1 crowd support. 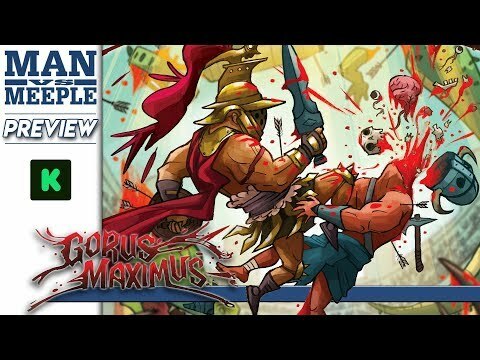 The first player to earn 3 crowd support has won the support of the masses and earns the title: Champion of Gorus Maximus! Online sandbox arena for playing board games just like in real life. Get started in 4 easy steps. Tabletopia is a sandbox system. To play, you need to know the rules and have opponents. Create a game and share the link with friends. It's free and guests don't need accounts to play! Go to Find & Play to join games or visit our Discord channel to find people to play with. Over 50 games on Tabletopia have fun and fulfilling solitaire modes that you can enjoy on your own. Voice and video chat, and much more!